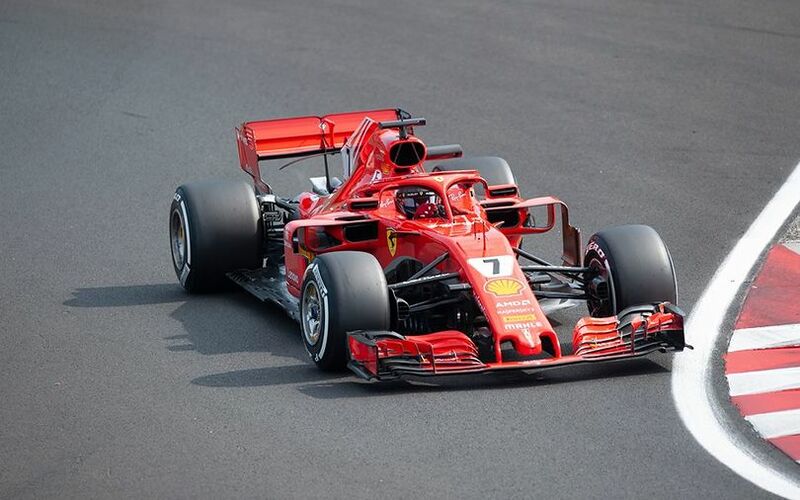 After topping the timing sheets on the opening day of the Hungaroring tests, Ferrari continued to set the pace in the morning session of the second and final day. Yesterday’s pace-setter Antonio Giovinazzi gave over the driving duties to Kimi Räikkönen. The Finnish driver flew back to his residence in Switzerland to come then back for the Wednesday testing session. Räikkönen controlled the action on the medium compound before switching to the softs. 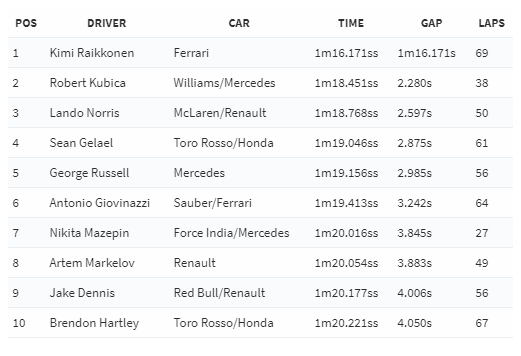 On the yellow-marked Pirelli rubber, Räikkönen set the best lap time of the morning with a 1:16.171. To make his Polish fans happy, Robert Kubica ended the morning second with his best time of 1:18.451, more than two seconds behind the 2007 world champion. Kubica completed only 38 laps because Williams dedicated the first two hours of the morning to front wing tests. Force India young driver Nikita Mazepin covered the least amount of mileages over the first four hour of the day. The Russian missed the second half of the session after his car came to a halt. It is Brendon Hartely who is working for Pirelli today. The Kiwi is evaluating new tyre structures and compounds aimed at next year.